Since 1984, Benning Design Construction has created inspired interiors for some of Northern California’s most prominent public venues and private clients. A full-service firm with a specialty in lighting, we have earned numerous awards for excellence in design for restaurants, retail environments, offices spaces, private residences and more. We set high standards not only for creative vision, but also for project execution and management. Our clients return to us again and again, often referring their friends, family and colleagues. Their confidence is the measure of our success. Design Alchemy is a residential/commercial design and merchandising firm with over 30 years experience designing and enhancing spaces. We are inspired by old world architecture, new technologies and enhancing people’s lifestyles. We believe in the uniqueness of each design ensuring that the result evokes the personality of our clients. Collaborative in nature our talented team appreciate that life is fluid so design and process must constantly evolve to maintain significance. Our firm is driven by the constant innovation of ideas, style and implementation while building long-standing relationships with clients and artisans around the globe. We focus on understanding the needs, dreams, and desires of our clients and we enjoy creating, transforming and beautifying projects across all spectrums and geographies. Lake Tahoe's Award Winning Interior Designer Best of Houzz 2015-2018! Atmosphere Design Group provides a full range of design services including conceptual design, space planning, interior and exterior finishes and custom furnishings. Robin Wilson is the principle owner of Atmosphere Design Group in Sacramento, California. She is a designer with an artist’s soul, gracing each project with a respect for quality materials, craftsmanship, and above all, attention to detail. Over the past decade, Robin has designed spaces with dramatic presence and simplicity of form. It is her unique sense of color and space, broad history of travel and culture that define her authentic style. Robin continues to be inspired by her clients and the lifestyle they embrace. You can feel confident knowing that you are working with a licensed and certified interior designer who will help you achieve your vision. Atmosphere Design Group looks forward to providing you with professional, courteous and affordable design services. Together, we can create a beautiful and comfortable environment. Whether your taste runs toward the hottest new trends or the timeless design of classics, our vast resources and years of experience are here to help you achieve your goal. Call our offices to discuss your scope of project. Rebecca Ward Design is an award-winning, certified interior design firm offering full service interior design to the greater Sacramento area. Specializing in fresh, contemporary spaces, RWD's focus is to bring beauty, purpose and inspiration to every interior. Services include: •Full Service interior design for mid to high end new construction and remodels, residential and commercial. •Consulting for specific needs, such as furniture, color, style, accessorizing, surfaces and finish selections •Space planning •Design Concept packages •Kitchen and Bath design A life-long passion and appreciation for great design led Rebecca into a career of Interior Design. Her goal is to design spaces that will add to other's enjoyment of life. She received her BA in Interior design from CSU, Sacramento and enjoyed several years of practicing under talented designers and architects. She gained varied experience working on model homes for production home builders, custom homes, spec houses, remodels, restaurants and clubhouses. Rebecca founded her company, Rebecca Ward Design, in 2007 to enable her to fully pursue her passion for design. Rebecca loves to share her design insights through her blog and is involved in her area ASID chapter. A native of Sacramento, Rebecca enjoys continually contributing to the community and culture of the city through innovative design. 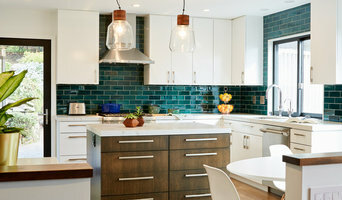 Rebecca Ward, ASID, CID designs in Northern California, from Sacramento to San Francisco. My firm, Mary Ann Downey Interior Design has been designing for residential and commercial projects for over 37 years. My design associate Alicia Cole, and I pride ourselves on qualities we feel essential to a successful project. We begin the process at our first meeting by getting to know you through our client fact sheets and also provide thought provoking remodeling questionnaires for individual and unique results. Our goal is to make the design process easy and uncomplicated while eliminating angst and having fun! Soo…get your dreaming hats on and let’s begin! You are a unique creation, and your home project should be unique to you! Over the years we have developed long term, well established relationships with contractors and vendors; providing our clients with a plethora of design options. Our clients’ projects stay on time, and on budget! Larry is the founder and has a Bachelor of Science in Interior Design. He is able to work on any size project from as small as selecting colorways for a home, to working from the ground up; designing complete floor plans for a new home, and anything in between. Larry is excited to create environments that work well for a client, including flow of a floor plan and comfort of it’s finishes and furnishings. Anna, having a degree in Behavioral Science, brings another facet to Uhrich Design. She is able to really listen to the client and interpret what it is they desire. She also assists with product research, orders, project schedules, and bookkeeping. We at Uhrich Design, know that in this day and age people have a huge selection to choose from. The design of one’s home is a personal project, we get to know our clients very well, and always have an excellent working relationship with them. We know our clients have a choice, and we appreciate them choosing us. We know you have a choice too, and we look forward to the opportunity of working with you to create your unique home. Todd Peddicord began designing interiors at the age of 10 and in 2002 he began his own Interior Design firm taking on projects in Northern and Southern California. His work has been featured in Design magazines, on home tours, national home shows, and he has been a featured speaker for his knowledge of Interior Design. Every project begins with a simple conversation on the phone or through email, so feel free to contact me today to discuss how I can help develop your project! 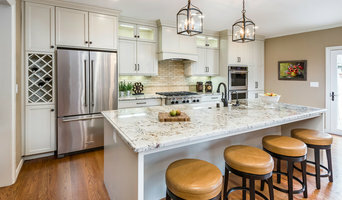 On occasion, interior designers in Sacramento, CA will need to subcontract help from other Sacramento, CA professionals to help create the perfect look for your home renovation. These may be specialist installers or interior decorators like kitchen designers, architects or landscape contractors. Start by asking yourself what you want your space to become and how it will be used. List your must-haves and decide on your budget. Interior design services can add up fast, so be upfront with potential interior designers from the beginning. Also, pick a designer in Sacramento, CA that fits your style. Browse through their interior design portfolio on Houzz and ask yourself if you’d live in any of those houses. If the rooms inspire you, take note of what elements you appreciate. 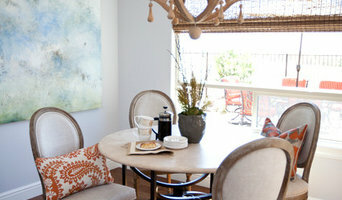 Find residential Sacramento, CA interior designers on Houzz. Scroll through this page to find interior designers in your area. Then, browse their design portfolios to see how their work compares to the scope of your project. You can read reviews to see how other homeowners rate their work, and message them directly to to ask any specific questions.